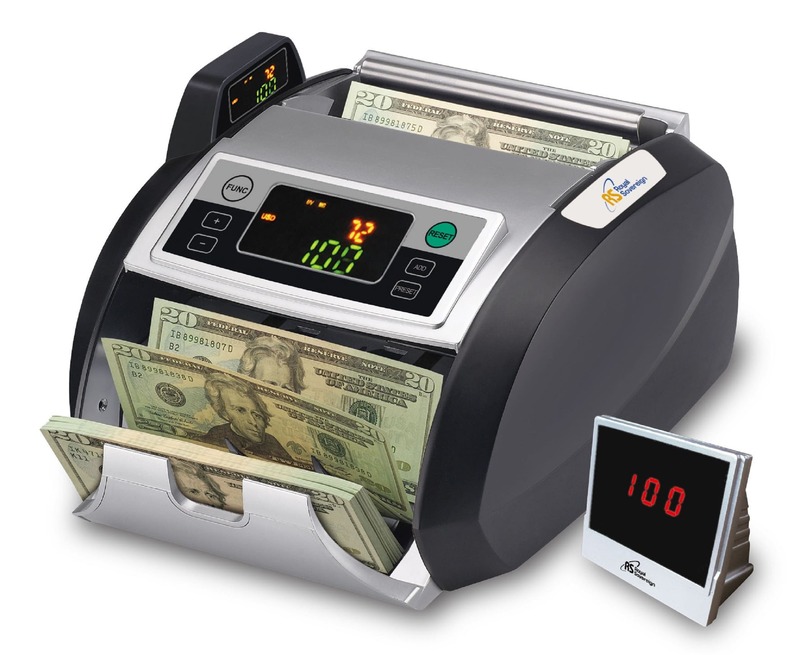 Royal RBC-2100 currency counter with Ultraviolet (UV), Magnetic (MG), and Infrared (IR) counterfeit detection. it is good to run in home or business. This unit is equiped with friction feed roller system for fast and accurate counting up to 1000 note per minute. Features with countinues runing of 4 hours. With keypad control you can added automatically and separated bills into batches. Hopper is back load and 200 notes at a time. It also equipped with external display system. Unit Dimensions: 6.41" x 10.43" x 12.12"
6.41" x 10.43" x 12.12"
Can't show how much total money count . Nothing help this machine. Just use for detecting fake money . Fantastic! If it does jam which is rare its so easy to fix and does not lose count. This is so much better than ones that are more money- I love this!! UV/MG sensor was giving false positive bills. returned it. Love my bill counter makes my job so much easier.